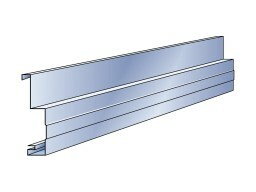 Fielders offer a comprehensive range of Steel Fascia to suit various gutter profiles and property styles. A high-quality, maintenance free solution for new and old buildings. Fielders Zincalume® and COLORBOND® steel fascia offers the new home builder an easy to install and maintenance free fascia with exceptional longevity as compared to timber. Install guttering with straps. 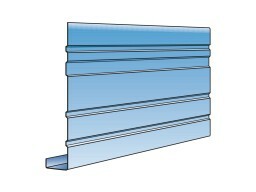 Fascia is a non-load bearing product. Flat Fascia is a sleek and stylish solution for new home builders is an easily installed, maintenance-free fascia with a greater longevity and look than timber. 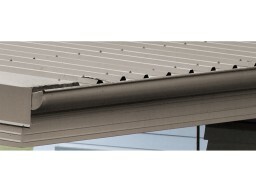 To complement Fielders unique steel roofing & building products, Fielders offer a comprehensive range of Steel Fascia to suit their gutter profiles for maintenance free solutions for new and old buildings. Fielders Zincalume® and Colorbond® Steel Fascia system offers the new home builder an easily installed maintenance free fascia at a fraction of the cost of timber. Fascia Covering fits easily over old timber or asbestos fascia, lasts for years with: – No maintenance – No painting – Full Colorbond® Steel range – Rollform ribs for greater strength. Screws or nails into place. Install guttering with straps. Fascia is a non-load bearing product. Fielders Rebated Fascia lasts for years with no additional maintenance or painting. Perfect to accommodate the structure of the building or roof, or as a design feature.